Well, here we are, Christians sitting as frogs in the proverbial pot of boiling water. And now after years of seeing the bubbles, we’re finally starting to believe and feel the heat. Will we finally leap out into the fight, or continue to get cooked in boiling apathy? Rather than discuss the role of Christians in politics, that all things are inherently religious, when and why we should exercise civil disobedience or debate about theological escapism versus engaging the culture with Biblical solutions to the world’s problems, I will instead focus on an area I think we can all agree on — or at least most of us: sinning against God and our obligation to avoid it. Tyranny — it’s when man oppressively rules over man, and puts himself in the place of God, more or less. The essence of tyranny is that “no absolute God-created law or justice prevails” and instead, only the will of a man, a group or party of men, or a majority or a minority of men dictate morality. By passing Obamacare, the small minority of elected men known as Congress put the state and themselves over and beyond their sole duty as a ministers of justice, and put themselves in a sovereign position over the lives of Americans. So, how does that mean we are sinning against God by supporting them? Our rulers are sinning by their actions, but so are those that blindly follow them without question — or response. By casually agreeing with this tyrannical rule, we are choosing to obey men rather than God and acknowledging man’s authority over and in the place of God. We can’t be neutral. There are no grey areas. I’m sure none of us have little President Obama statues in our house — at least most of us don’t … yet. However, agreeing to controlled healthcare and medical services with mandated cooperation by Uncle Sam is very close. Why? We allow ourselves to be intimately connected with the state by allowing all aspects of our social, family, business and personal lives to become accustomed to leaning on the state for care and help rather than God. When we do this, the God-given resources the Scriptures teach that man should use in order to provide for himself, things like consistent hard work and sweat, are principles that are gradually put to the wayside — or worse, never learned. As with any socialist program, this creates a spirit of dependence, lethargy and apathy among the people, causing us oftentimes to prop up, expect and support the state as a providing idol, rather than the Church — God’s true resource for “health care” — and the Spirit of God Himself. The ultimate blasphemy is doing evil in the name of Christ. “Obamacare is a move that will ensure that the U.S. is attempting to live up to its religious values while complying with the teachings of Jesus Christ,” said a senior fellow at the left-leaning Center for American Progress. Do you agree with this quote? Unfortunately, I know some Christians that would agree with that statement. If you’re one of these people, please don’t forget that Christ doesn’t contradict Himself. He also spoke against stealing, idolatry, murder, covetousness and lying. All sins that Obamacare is guilty of are also committed by association when we buy into this sort of “social gospel” mentality. Remember, Jesus never taught to rob from one person and give it to another, or for a government to mandate laws that take from people who work — or don’t work for that matter — and forcefully give their wages to other people. This is stealing. The Spirit of Christ should cause Christians to give out of the goodness of their heart, not by mandated government force with fines for those that do not comply. If we support this, we partake in the theft by default. With over 2700 pages, it’s no wonder this legislation is scattered with anti-life, pro-abortion measures. Despite what is being said, abortion will be funded by taxpayers through a monthly, secretive surcharge. Americans will now be forced to comply and indirectly participate in the murder of children whether they like it or not. Would you give a portion of your paycheck this week for a woman to have an abortion next week without saying a word? Chances are, you’d rant, rave and adamantly refuse to allow it to happen. What about the taxation associated with Obamacare? The power to tax gives you the power to injure and the power to destroy. This bill puts the state in even more of a violation of this commandment. The taxes that we have in this country are, for the most part, unBiblical — income tax, real estate tax, etc. — and are against Scripture. God basically calls for a tithe and for a civil tax on “increase.” The mandate of this bill is now actually being labeled as a tax, which will send many companies and small business owners out of business due to required fees. Over taxing also promotes social revolution. Supporting or participating in a bill of this nature puts us right smack in the middle of this sin. Stand against it! Over-taxation and unBiblical taxation is theft, and so is wealth re-distribution. For the government to force one person to pay for another person’s healthcare — or anything for that matter, is theft, plain and simple. If your child received an A in school, but their classmate got a D, and the teacher decided to give half of your child’s grade to the student with the D, would you allow it? Your child earned an A, but because “Johnny” didn’t do that well and everyone must have equal shares, they both get a C. Would you go for that? Not standing against Obamacare is contributing to theft in more ways than one. Inflation also is theft. It’s a system of false weights and balances, which is all over Proverbs and beyond. Will we contribute to inflation when we buy into Obamacare? You bet. Bigger government means more money to run the government, which means more debt equaling more inflation. Can we control everything the government does? No. Are we culpable for all of their actions? No. However, when we have it in our power to act and choose not to, we are accountable. We must not get excited by handouts when the hand is unlawfully digging into our brother’s pocket. Remember, the government only obtains money by taxing or inflating (printing money). This bill could be summed up as one big lie. Not to mention, it plunges our debt-ridden 15 billion plus economy into more debt in order to run the beast of Obamacare. Lying is at the heart of inflation. In a nutshell, when businesses over-price undervalued goods and services to compensate for inflation, it’s stealing. Investments are made and lost due to inflated numbers. People or businesses cannot invest honestly or accurately with a government that continues to print money and devalue the dollar. However, this is exactly what Obamacare will do and is doing. If we don’t stand against this bill, we will be sitting back endorsing our government’s lies while they profit by stealing from others. There’s no in between. If we’re for this bill, we sin against God. When someone gets a handout, and then another, and then another, guess what? They grow to expect it. Generation after generation of the Nanny State fosters a covetous heart and a covetous nation. We’re not to eat if we don’t work, says the Bible. What happens when you cater to a lazy employee? You keep giving them grace upon grace when you should put your foot down and tell them they either must produce or be fired. What happens when you enable an alcoholic? Do they get better or worse? Is tough love better than blind love? We are enabling a lethargy that we will not be able to pull out of when we contribute to this bill. The Bible teaches creativity, enterprise, freedom and dominion. Its teachings imply a spirit of entrepreneurialism and heartfelt giving, not mandated handouts that hurt and cheat others. If you think enabling an alcoholic is sin, so is enabling a Nanny State. We must refuse to remain quiet. We have to stand up for Christ in these areas. As you may have noticed, each of the above represents a commandment. But what about the 4th, 5th and 7th commandments (remember the Sabbath, honor your father and mother and do not commit adultery) you ask? I purposely left them out of the main line-up of transgressions caused by Obamacare to focus on the obvious, but the missing three are also violated. For one reason, if you violate any of the 10 commandments, you’ve broken them all. Now, depending on your view of the Sabbath, a good case can be made that Obamacare also violates it, as well as the 5th commandment of dishonoring your parents. The 7th commandment not only warns us to avoid sexual sin, but also protects the family unit. Much can be said on how endorsing Obamacare disrupts, discounts and disregards the family as well. With all of that said, if any church member, non-believer, pagan or saint were to cause you, your family, your church or anyone you know to break all of the above commandments, would you not stand against them and reprove them with the Word of God? Would you not exhort them to repent and turn to God’s ways and not the humanistic ways and rule of man? Wouldn’t you at least kindly ask them “why” and question their motives? If your children were supporting such sins, would you sit down and lovingly speak to them? Would you alarm them regarding the consequences of such actions? How about some instruction on how to handle such situations? I would hope our pulpits will alarm the Church in the very same way this Sunday and beyond. It’s our obligation as Christians, pastors and preachers to be salt and light, and to reprove the works of darkness. There is no line of division, no place where Christ is afraid to send you to speak out. The ruler of this world stands judged! How else does God intend on convicting the world concerning sin, righteousness and judgment if not through His image bearing, redeemed people going into every sphere of the world by the power of the Holy Spirit? We must stand and speak against this atrocity of Obamacare and not be afraid of the consequences of what our church members, pastors, neighbors or government may think. Are you in? If so, resist this tyranny by refusing to partake in it, endorse it or be associated with it in any way. Pick up your phone. Write, blog, email. Go to your statehouse. Write your Congressmen. Call the media. Vote biblical. Support godly politicians. Run for office. Do what God is calling you to do. Take to the streets in protest and with the message of the Gospel of the Kingdom, proclaiming Christ’s Kingship and His message of forgiveness. But let’s not sit still; let’s do something. Yes, let’s get active for Christ and jump out of the pot. It’s time we stand up, speak out and take action! 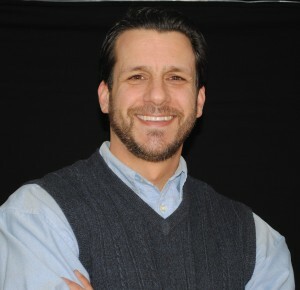 Pat Necerato is a husband, father of three (soon to be four), home school dad, business owner, seminary student, street preacher and filmmaker. He is also founder of Go Stand Speak Ministries and the writer/producer/director of two Christian documentaries.